If you live your life in any way, shape or form that resembles mine, you are a giver. You constantly are trying to console, advise or listen to those around you and sometimes you completely forget about the person who might need all of those things the most- you. It’s not that we don’t love being there for others because believe me, it’s built into our DNA. However, I have been told quite a few times that I should just take a breather and focus a bit on what I want out of life and begin to do certain things just for me. We have our dreams but are we doing anything to get us there? We have the ideal person we imagine ourselves to be but you will never be that person unless you start to work at it right NOW. So here are a few simple things you can do to start something I have named the “Spoil Yourself Project”. Simply because I keep forgetting to do things that will make me a happier person. Therefore if I write them down and PLAN them, I do it and take that step closer to the person I want to become. 1. Make a list of things you love to do or things that make you happy. 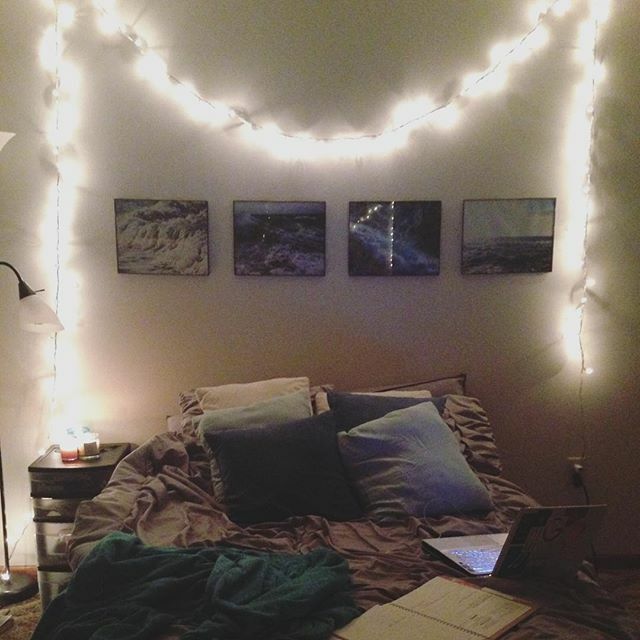 I wrote down everything from painting my nails to laying in bed with the Christmas lights on and candles lit. Make it endless. Do you love walks by the river? Reading books? Make a giant list of what you love that makes you happy. 2. Do you have a planner? Schedule an item for EVERY day of the week. That’s right, you should be doing something for yourself every single day. Write it down so you can cross it off and feel good about accomplishing something simply for YOU that day. Maybe even just schedule a time you want to do something for yourself and then take a look at your list and choose. It’s truly up to you. 3. When you are doing whatever task you want, make sure you relish in the moment. Don’t treat it like a chore because it will defeat the entire purpose of spoiling yourself. Now is the time to focus on YOU and it’s important to appreciate the small joys that are a part of your being. 4. GO! Hop to it and eventually, you won’t even need a penciled in reminder that you should be doing something for your well-being every single day. Best of luck with the ones who need to be spoiled by themselves. You’re used to the way your bed fits in your room, the weird quirks of the microwave and the neighbors surrounding you. You’re used to the neighbors and the dog that is constantly barking. And now you want to move somewhere new. Maybe it’s the memories you have in this town or maybe you’ve just outgrown it’s borders. Maybe you crave a new lifestyle or different weather. Maybe you want to move to the mountains or the oceans. There really is many reasons why you can love your home so much but still want to leave. I’ve been fighting with this dilemma for a while now. And to be honest, I don’t know if I want to stay because I’m scared, realizing I could really have some great opportunities here or just terrified of leaving my family. On the other end, I don’t know if I want to leave because I’m running from something, naive or in love with the idea of starting over in a place I choose as everything I want out of a home. I have nothing and no one holding me back and that is the beauty and danger of being on your own. You get to decide exactly what you want to do and it’s a lot of pressure when it comes down to it. I have 9 months to decide where I’ll go and I don’t have any idea what my decision is yet although I’m leaning. I’ve wanted to leave for even just a couple years, ever since I was little. I’ve wanted to go anywhere different from where I have been. I think, but I’m not sure, that it is what I truly need to do. Maybe. This plan has changed and twisted several times due to people and experiences and that’s okay, but now that I can dwell on me, myself and I, the clock is ticking. 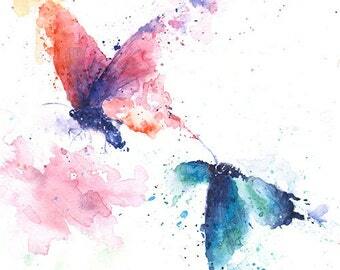 I’ve grown a beautiful cocoon in this place I call home, but I think it may be time for me to spread my wings and fly somewhere else. After all, I can always fly home. I love writing but some days I have to remind myself that I started doing it for my own growth and expression. So yes, depending on where I am in my life, I will be writing about tough times or insanely hilarious moments. I will be sharing stories and mysteries that race through my mind. It’s kind of beautiful to get to know someone through their words and I believe that Inspired She Lives, in it’s purest form, is me. So enjoy as more words continue to flow out of me! Don’t you know what you’re worth? Is that why waves retreat back into their selves after touching our pain? Is this how getting lost finally allows you to find yourself? Do you like the person who blinks at you through mirrors? I don’t know how this passage came out of me but if I had to analyze myself, I’m sure I’m going through a lot of self-evaluations at this time in my life. I’m graduating college in the next year and with that, comes SO many big girl decisions! So at this exciting time in my life, I must consider what I want and who I am at this very moment. I just can’t think too hard. Strength is tear soaked pillows and piles of crinkled tissue. It’s hot tea filling up empty hands and warming up a heart gone cold. Strength is taking a bite when you want to waste away. It’s saying hello after the hardest goodbye. Strength is good days and terribly awful minutes. It’s writing a song or painting canvases full of splattered heart beats and memories. Strength is pulling yourself out of the warmth of a blanket cocoon. It’s peeling your heart off the sidewalk after an earth shattering quake. The pieces will never fit back together but they remember the familiarity of what used to be there. Strength is saying yes to new adventures and fighting for everything you believe in. It is loud and boastful or quietly accumulating. It withers and swells each day. Strength is feeling something so deeply it drowns you. Strength is floating up from the abyss. It is answering questions you’re scared of and letting someone hold your heart with their bare hands. It is loving a place you’ve never been and leaving behind everything you know. Strength is adventuring into the world. It is curiosity for something beyond ourselves. It is holding up those who are struggling to move forward and carrying on with them. It is never forgetting the people who made you love. It is always loving those who have made you who you are. Strength is creating a better person when the air is filled with temptation. It is forgiving when surrounded by betrayal. Strength is constantly giving away kindness. It is letting go and holding on and fighting in between. Strength is forks in the road and lonely trails. It is loving yourself and becoming your own friend. Strength looks a lot like the reflection in the mirror. P.S. This is dedicated to the ones I love who are struggling a little more than others today. We have good days and bad days when dealing with pain but as long as you are surrounded by love you will shine. I’ve been there and some days I’m still there but you always have to look forward to what might happen next with a big smile and an open heart. It’s easiest when you do what you love and forgive what you can’t control. You are STRONG! They say that your twenties are filled with change and seven hundred different versions of yourself. Well, “they” got it right. I have changed more in the past six months than I feel like I have in my entire life. I have jumped from version 20.0 to 20.35, skipping through different Anna’s until one new aspect sticks to me, creating this ultimate version of Anna that I’m starting to enjoy. And as I was rolling in fuzzy blankets underneath the Christmas lights that decorate my room, I saw a shadow cast on my wall that looked like… a butterfly. It reminded me of a small passage I wrote two nights ago that I didn’t think I would share on Inspired She Lives, but we’re all about opening up here. Acceptance and love, right? We get broken as a test to see how well we can transform. We spin around and around, weaving our cocoon until the only thing we have left to do is wait. Wait until enough time passes. Wait for our wings to grow. Wait for our colors to brighten. Or just wait for our patience to run out. And after weeks and weeks of metamorphosis, we spread our wings and realize that our wings are ready to fly. And though our journey was long, it was beautiful. Thankfully, some words pour out of me and tell me how I am feeling. These words that are written were not over thought or carefully crafted. They bled from the scars that come with change and soothed the little girl who is sick of all the villains in her life. So thank you so much for reading. I hope your Monday conquers every other Monday before it. I am pretty sure I just heard a bunch of judgmental girls snicker through my laptop screen. It’s the truth though. When I get all dolled up, I feel so much more confident. Sure, I can say the whole “I don’t give a flying fairy about what I look like” and pretend that it is true. I really could and I bet some days I even mean it but mostly, I’m lying. Every single girl knows that when you try to look your best, you strut just a little bit harder and hold your chin just a little bit higher. It’s a boost to your self-esteem to hear people say you look like a dream. Who doesn’t love compliments and awkwardly trying to accept them? As a college student in the midwest, I get a lot of looks for trying every day. Last year, I spent days in sweats and leggings and that is fine, but I wanted a change. So I promised myself that I would make an effort to dress nice this semester in order to gain self-confidence and can I be honest? It has WORKED. When I feel all dolled up and pretty, I feel really good about myself. These students don’t know that though. They wonder who that girl is because let’s face it “she’s either a freshman or trying way too hard”. I’ve been asked by people why I dress up so much or what the special occasion is and in reality, it’s just to make myself feel better. A good outfit can change your whole mood. So here in the midwest, there is not much “fashion” at all. People wear camo and sweats and that’s fine. I will sometimes as well. However, I’m starting to think that people are going to think I wasn’t born here if I keep up this effort. So ambitious little fashionistas reading this, you keep going. Put on that red lipstick and curl your hair to the equivalence of an LA model. Strut your stuff no matter where you are and just dress up for you. You are the one who deserves to feel beautiful. It’s true, us travelers are wired differently. We don’t discover our souls, we create them. So once you’ve met someone who has decided to create a soul full of adventure and wander, prepare yourself for how they think and where their passions lie. We crave change. I’m not talking about moving every few months or trips to Europe every single year. The change of scenery we need is more about exploring something new. We want our eyes to be awakened by new places and that doesn’t have to cost a fortune. I can’t tell you how much small trips mean to us wanderers. Whether it’s getting coffee in the next town over or exploring a new park, we crave a change that will refresh our inspiration. We seek adventure. We need to have fun in a way that is new to us. An adventure can be as small as going to a new grocery store or searching for a new solitary. Walking new paths or searching for the oldest antique shop around, we just crave an adrenaline rush. We want knowledge outside of our city limits. What else is out there? As soon as we’ve left, we realize how much we HAVEN’T seen yet. We start planning and plotting for new trips that will teach us more about the world than a text book every could. Daydreaming is guaranteed to be filled with exotic locations and foods that we don’t even know exist yet. We love solo adventures that help us create ourselves but we also love sharing our wanderings with loved ones. If you see the most incredible flower field hidden in a mountain valley, happiness consumes you. If someone is with you, you look right at them and smile from ear to ear because it just became a shared memory. You are both witnesses to a beauty that can never be translated into words. Come on my fellow wanderers. What else makes our souls all about travel? This post was inspired by the beautiful article from Elite Daily and the link can be found in the P.S. at the bottom of the post. Just thinking of words to say makes me feel like I’m mustering up a kind of energy I can barely spare. I’m not just the kind of tired that drags your eyelids closed and whisks you into sleepland. I’m tired, in all honesty, in every single form. My brain cannot process the knowledge I need to learn. My emotions are so exhausted from being in overdrive that sometimes I can barely feel anything at all. I’m physically drained from sleepless nights that are consumed by racing thoughts that won’t let me sink into the pillow quite as much as I crave. So when I read the a fore mentioned article, I had the most confusing sense of understanding. Oh, I thought, I am not weak, I’m tired. Every word was applauded by the beating of my heart and each sentence whispered straight to my soul. The state of tired I’m in is because of the most difficult changes I have been putting myself through. If I’m tired, it’s because I’m moving. Maybe not as fast as I’d like to, but even a glacial crawl is putting me closer to where I want to be. And everything made sense to me. I’m exhausted because I’m transforming. I’m making new routines, trying new things and exploring new dreams. I am creating a new me and it is an extremely overwhelming amount of effort. Because I hadn’t until that moment. I hadn’t realized the thousands of miles I have trekked or the wounds that I’ve been tending to. I didn’t realize the fight I have been unconsciously participating in every day or the power behind my footsteps. I am truly transforming. Transforming yourself isn’t easy my friends and it sure as hell doesn’t happen in one day. But one day I woke up and realized that I could be anyone I wanted to be and I realized how important my choices were. So I began a new journey. So, I’m tired. I’m tired of battling to be this person but I am so unbelievably proud of myself for the challenges I’ve willingly faced to turn into someone I can give self-love to. It’s okay to be tired, as long as you keep fighting. Growing is never easy but that’s why only the strongest people survive. I’m a whirlwind of adaptation and determination. My mind clocks 100 mph thoughts while my legs struggle to run 1/10th of that pace. Sleep doesn’t stand a chance against the intensity of my creativity and I toss and turn with dreams of blank faces I have yet to meet. I easily lose sight of myself in others. My broken dreams spring hopeful prayers and my heart is not one to pass the chance of wishing on a shooting star. My eyes can be useless to the intensity of my focus. My brain is considered smart while my decisions can reflect the opposite. Oh, but I learn with grace and passion what it is to turn a mistake into a lesson. My heart swells easily and beats love. I fall quickly and shamelessly into a whirlwind of laughter and trust. My excitement explodes freely and the love I give is raw and untouchable. My laugh cracks like sticks turning to coals in a fire while my smile comes and goes in waves. Happiness finds me again and again, teaching me the patience I need to embrace the in-between. My strength shines through cracks and scars that have been healed by a process of learning self-love. The aches I feel are from years ago but the person I’ve become thanks the pain for teaching me how to move forward. I have learned the value in letting yourself be broken if only to put yourself back together with stronger glue. I’ve thrown myself into projects and people that didn’t deserve the effort and I’ve mistreated the ones that did. Perfection is unattainable but it was once a goal before I realized the insanity of it. I’ve cared far too deeply or not enough. My inspiration is crazed by photography that speaks words that don’t exist and quotes that tear my soul open and leave me with nothing but a mirror and a magnifying glass. I’ve become a beautiful monster who creates and cultivates. I’ve become a piece of art that was painted by my own thoughts and experiences. I am proud of my own creation. Me.